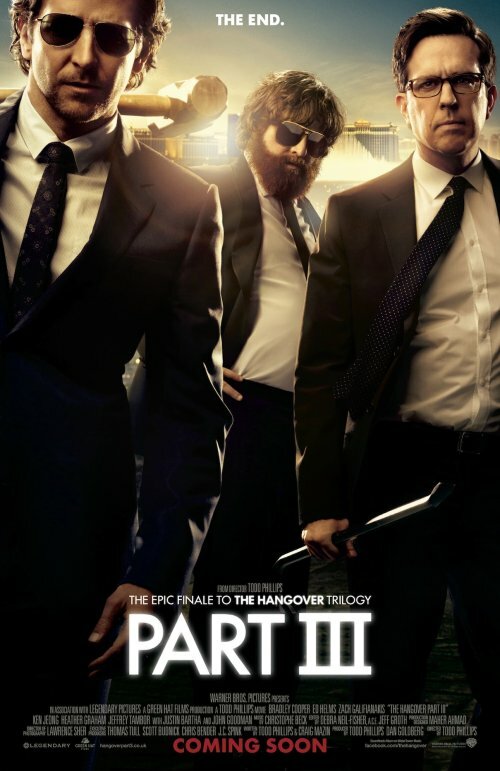 It seems that the third part of The Hangover films is getting closer to its UK release date. This means a couple of things. Firstly there was a new trailer. Also, there was a new poster that appeared. Now this new poster got me thinking. There were some things about it that felt familiar. This can be boiled down to a three-fold problem as you can see in the poster. Three people appear in the poster. Yes I know I hear you say “That also happens on a lot of posters” but this is only the first point so let me continue! two of them are armed. More specifically, the two on the left and right of the poster. Yes I know! The dubious Photoshop cutting out work around the arms. Just scroll down past the new poster and see which film it could remind me of. Yep. It’s the great Spy “comedy”, This Means War. I’m sure that this film’s poster is stalking me as this blog keeps returning to it time after time. The below monochrome poster is a lot harder to see the dubious cut-out word done in Photoshop. The colour poster shows this interesting white lines around everyone a lot clearer.